We've had a wonderful start to the week here at Westover Gallery. 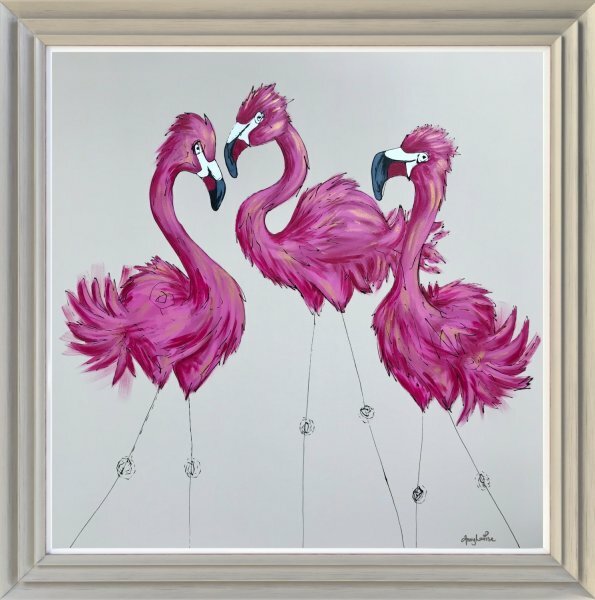 A very happy client sent us this photo of their Amy Louise Flamingo original hanging in their home, and it looks fantastic! We work hard to make sure that all our clients find something perfect that they'll truly love. When we see the happy result it really makes us glow. 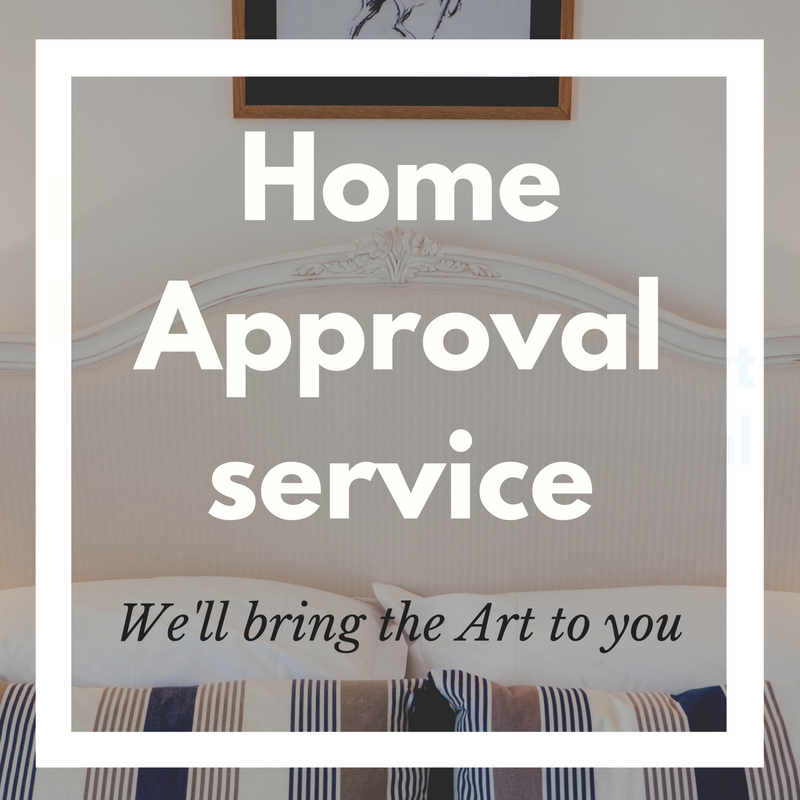 But sometimes it can be hard to visualise how an artwork will look in your home, so to make sure you'll be happy we offer our Home Approval Service. 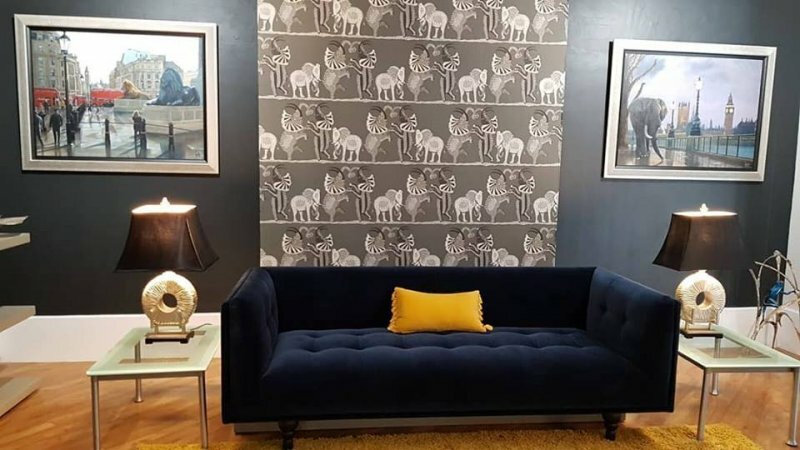 For those in the Bournemouth area, one of our Art Consultants can bring the work to your home so you can see it in your own space and decide if it's the right fit. If you're in the gallery here on Westover Road we also have our amazing, and recently renovated, viewing room. This features one dark and one light wall space that we can hang any work that's caught your eye. You can sit on our very comfy sofa and take time to really think about how it would fit on a dark or light wall in your home. As you can see, this Amy Louise original looks amazing in our happy client's home. We're a big fan of Amy's work. So much so that we'll be hosting an exhibition in September of her fabulous paintings, and we're happy to have her in attendance. Be sure to view her work, and if you're interested in the event, you can register you interest here. If you'd like to share the work on your wall that we've helped you find, why not get in touch? We always love to hear how happy you are about our artwork, and if you'd like to send a photo we'd love to share it (with your permission, of course).